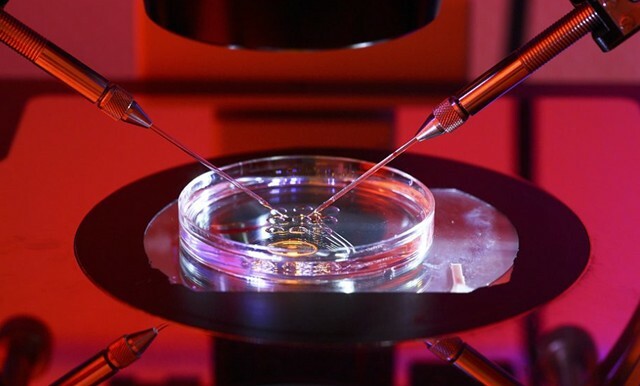 Conventional IVF, with its natural fusion of egg and sperm overnight, soon reached its limits, especially in moderate to severe male sperm problems, where no fertilisation took place. 1992, in Brussels, a single sperm cell was being injected through a micro-needle (with an inner diameter of only 0.005 mm!) directly into the cytoplasm (cellular liquid) of the female egg for the first time. With ICSI, stunning success rates have been achieved worldwide even in men with very severe fertility problems. 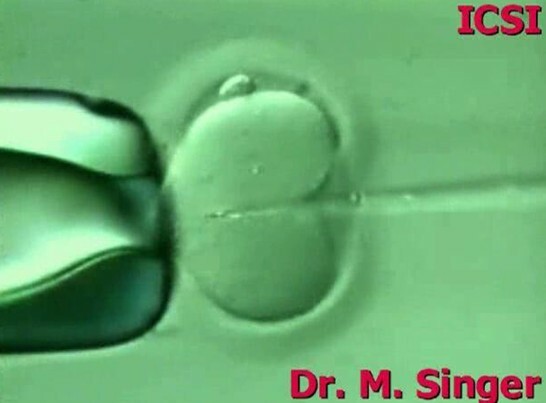 For the involved couple, the treatment is exactly the same like in conventional IVF. Picture on the right: ICSI workstation. 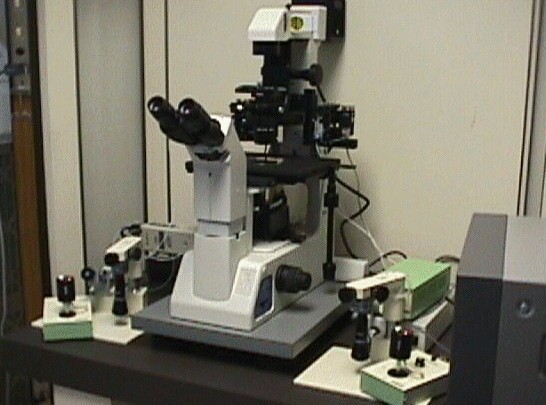 The special inverted microscope is equipped with micro-manipulators, the biologist can handle the tiny pipettes with his joysticks, aspirate the sperm cell and inject it into the egg. The holding pipette on the left holds the egg in place, while the injection pipette just penetrated the fairly rigid outer shell (zona pellucida) as well as the cellular membrane of the egg. This action is repeated for every single mature egg. The eggs have been aspirated from the ovary of the woman a couple of hours before. 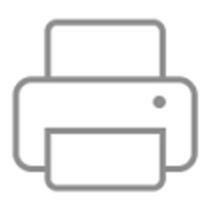 See the video by clicking on the image on the right.